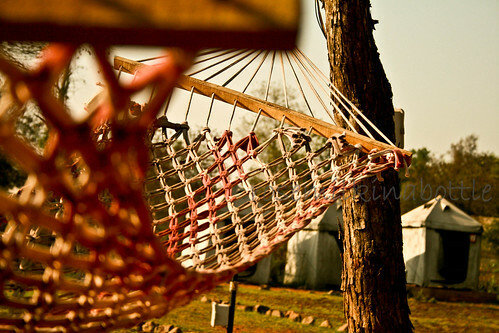 via Why Hammocks Make Sleep Easier, Deeper : Shots – Health Blog : NPR. What’s interesting to me is that the rocking motion was so slow – a four second period. That’s considerably slower than my hammock, and reminds me more of drifting down the beach in a raft, another very easy way to fall asleep. If you click through to the blog article, you’ll find that the surprise for the researchers was the type of sleep and the quality of the sleep state that the rocking naps created. This might be promising for those with insomnia, but also those with brain injuries such as stroke which use these types of sleep periods to heal and restore the brain. I’d love to see a study done on people sleeping during a massage when the client is gently rocked or moved in a slow fashion as described above. Massage itself is relaxing, but perhaps part of that sleepiness that happens during a massage has to do with the slow, rocking movement of receiving a massage. I often have clients waken at the end of a session after sleeping for a good portion of the massage. And I have to confess, many of my best naps were on my massage therapists’ tables. If you don’t have a hammock, or don’t like the heat, call your massage therapist for some gentle rocking and relaxation.